Chic Classic Wedding Cake, a photo by CAKE Amsterdam - Cakes by ZOBOT on Flickr. 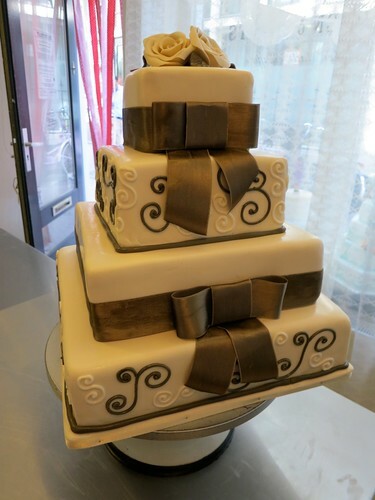 Chic classic wedding cake with vintage ribbon for about 60 servings. FLAVOR: Vanilla Cake with whipped cream, raspberries and lemon curd.